Today, I'm looking at the life and career of the beloved old Hollywood character actor S.Z. Sakall. Here he is as Otto Oberkugen in In the Good Old Summertime (1949). This article is part of the What a Character! 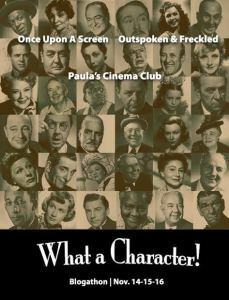 blogathon hosted by Once Upon a Screen, Outspoken & Freckled, and Paula's Cinema Club. S.Z. Sakall was one of the most endearing character actors in old Hollywood films. His portly frame, exasperated temperament, and fractured English were a much loved addition to many movies in 1940's and 1950's. Today, I'll give you a look at some of his best films and where you can watch them, but first, here's a little background. Sakall was born Gero Jeno (there are actually several variations on the spelling of his birth name; his immigration papers say "Jacob Gero") on Feb. 2, 1883, in Budapest to a Jewish family. Sakall always enjoyed performing, and he began writing comedy sketches when he was still a teenager under the pen name, Szoke Szakall, which means blond beard in Hungarian. Sakall became a stage and screen star in Hungary during the 1910's. Eventually, he moved to Vienna where he became a major star in Wiener Film, an Austrian genre that featured a unique blend of melodrama and comedy in an historical setting. Sakall left Europe in 1940 after the Nazi regime's rise to power. Sakall and his wife were Jewish, and, sadly, most of their other family perished in the Holocaust. 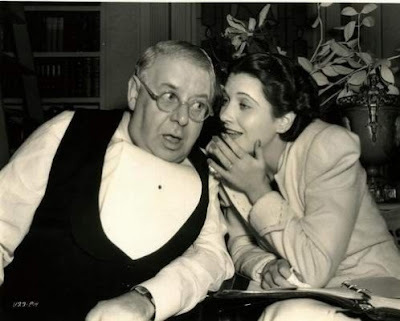 However, Sakall, like so many Jewish emigres, found safety and work in Hollywood. S.Z. Sakall and Kay Francis share secrets on the set of It's a Date (1940). Sakall quickly found work in Deanna Durbin musicals. He was a good fit for the classically trained teenage star's movies because his portly frame and thick accent made him a natural for playing conductors and kindly uncles. It's a Date is actually one of the better Durbin vehicles. It features a snappy plot (Durbin and her mother, played by Kay Francis, are competing for the same part in one of Sakall's musicals), a great cast (there is Walter Pidgeon and Eugene Pallette, too), and Durbin's lovely version of Loch Lomond. It's a Date is available on DVD. S.Z. Sakall gives himself top billing in Casablanca (1942). Sakall signed a contract with Warner Bros., and he was soon earning parts in major movies like Yankee Doodle Dandy (1942) where he plays a befuddled theatrical impresario who thinks he's producing a play called "Yankee Doodle Candy." His next role, as Carl the head waiter at Rick's Cafe, is probably his best known screen performance although he was billed incorrectly as "S.K. Sakall". One of the great joys of Casablanca is that it features several of the best character actors on the Warner's lot, including Sydney Greenstreet, Peter Lorre, and Conrad Veidt. Casablanca is available on DVD, Blu-ray, and video on demand. S.Z. 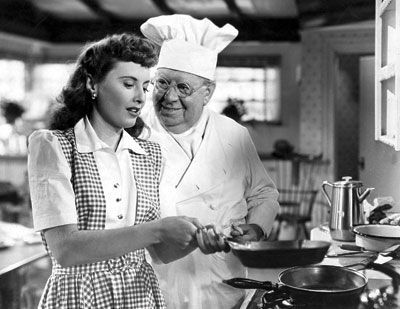 Sakall teaches Barbara Stanwyck how to "flip flop the flop flips" in Christmas in Connecticut (1945). Sakall is also beloved for his parts in holiday movies. He is memorable as a music store owner in the Judy Garland-Van Johnson musical In the Good Old Summertime (1949), but my favorite Sakall holiday film is Christmas in Connecticut. Barbara Stanwyck plays the writer of a successful homemaking column in a women's magazine. The problem is none of what she writes about her culinary skills is true; she is actually getting her recipes from Uncle Felix (Sakall), the owner of successful Hungarian restaurant (In real life, Sakall was something of a gourmet. He wouldn't eat lunch in the studio cafeteria; instead, his wife brought him a picnic basket full of traditional Hungarian goodies everyday). Christmas in Connecticut has all the familiar tropes of Sakall's "Cuddles" persona. Sakall uses his catchphrases "everything is hunky dunky" and "catastroph!" and he slaps his hands to his cheeks and shakes his head in what would become a familiar gesture. Christmas in Connecticut is airing at midnight Dec. 13 and 9:30 p.m. Dec. 18 on TCM. It is also available on DVD, Blu-ray and video on demand. Sakall's cuddly style and film noir don't seem like a logical fit, but the genre became so popular in postwar Hollywood that most actors had to take a walk on the dark side. 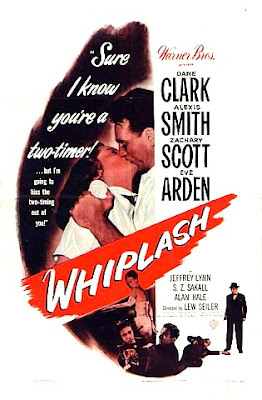 Whiplash is an entertaining low-budget movie starring Dane Clark as a successful painter who turns to boxing because he wants to impress a dame (surprise! surprise!). Sakall plays a kindly cafe owner who lends Clark a sympathetic ear. Whiplash is available on DVD. 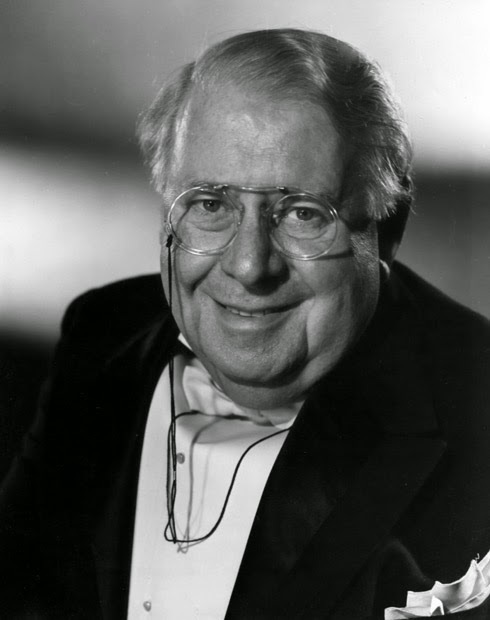 Sakall's "Cuddles" persona (he hated that nickname) was more suited to lighter fare, and he appeared in several musicals during the last years of his career. One of the best is Romance on the High Seas, which just happens to be Doris Day's screen debut. Sakall plays the uncle of Janis Paige in a mistaken identity farce that takes place on a cruise ship. Day is great in her debut, pulling off many memorable numbers, including the Oscar winning, "It's Magic." 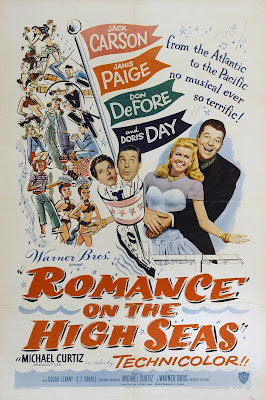 Romance on the High Seas is available on DVD and video on demand. Sakall's last film was the operetta, The Student Prince (1954), starring Mario Lanza and Ann Blyth. 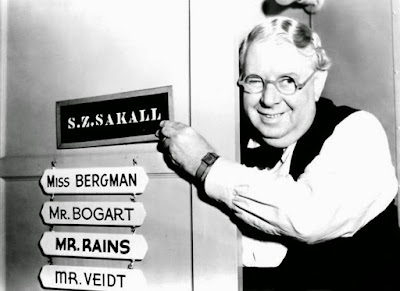 Sakall died of a heart attack on Feb. 12, 1955, at the age of 72. He is buried in Forest Lawn Memorial Park in Glendale, Calif.
For articles from past blogathons I have participated in, go here. Great post! That's so sad about his family and funny about his lunch. I've seen "It's a Date" but is was several years ago and I barely remember it. I've been wanting to watch some more Durbin films. I also need to rewatch "In the Good Old Summertime." I love him in "Christmas in Connecticut." Every time I see the word catastrophe I say it his way haha. Every Thanksgiving, I think of Cuddles while I'm making a "catastroph!" in the kitchen. If you'd like a total change-of-pace role for our "Cuddles" check out the 1951 Randolph Scott western "Sugarfoot" where Sakall plays (wait for it) a fellow named Don Miguel Wormser. I was impressed, maybe you will be as well. Thanks for the recommendation. Just the name Don Miguel Wormser makes me laugh! I love this his wife would bring a basket of homemade food to the lot for him. That is true love! So glad you included S.Z. Sakall in the blogathon. It wouldn't have been the same without him! I would have loved to get a peek inside that basket. Love that photo from behind the scenes of CASABLANCA! That picture and his expression perfectly sum him up, in my mind. Always a very welcome scene stealer. Thanks for writing about him! I think modern movies miss something by having all of the actors look like fashion models. Actors like Cuddles and Peter Lorre and Sydney Greenstreet added so much to Casablanca. I couldn't agree more about the loss of character actors who have such individual ... well, characters! Everyone now has to be beautiful, and it's boring! I love those wonderful actors who are always such a treat to see in films. Very nice tribute to one of the best, Amanda.